Since its opening in 1994, the team of the Hotel Carlemany works with care to offer you a perfect stay. It is their commitment to take care of you up to the very small detail and offer you the most pleasant accommodation as possible. 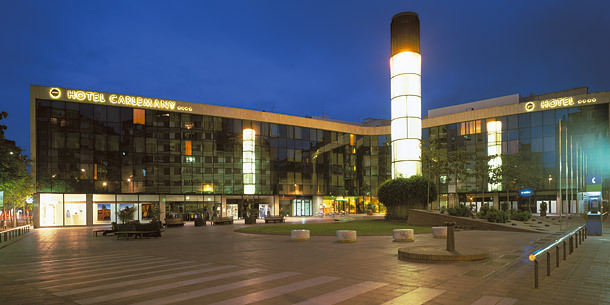 The Hotel Carlemany is 4star hotel property idealy located in the commercial center of Girona downtown. With an impeccable service that is essential to meet the needs of the nowadays travelers. Warmth and comfort characterize our cozy suites and rooms. All rooms are spacious and have large windows. Free unlimited Wi-Fi access throughout the hotel. Business corner with free internet access for our customers in the lobby. Rooms adapted for disabled guests. Family Rooms for up to 4 or 6 people.